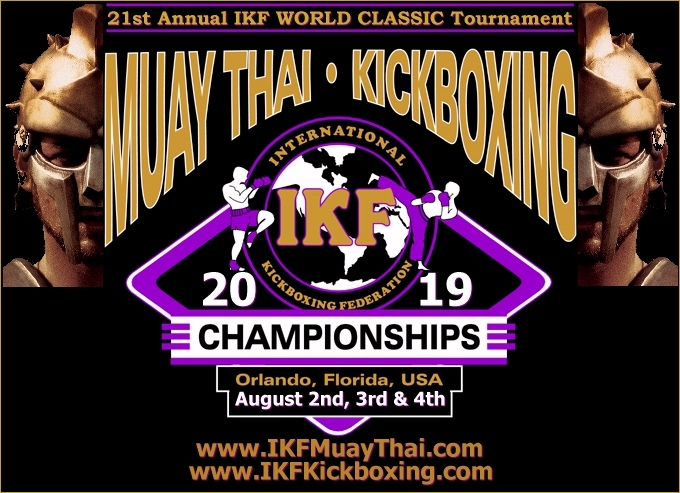 2019 IKF WORLD CLASSIC - CLICK HERE! Then it IS NOT an IKF Sanctioned Event AND IS CONSIDERED AN **ILLEGAL EVENT! WILL BE SUBJECT TO POTENTIAL FINES AND DISCIPLINARY SUSPENSIONS UP TO 12 MONTHS! (**) Events held on Native American Land are NOT Illegal Events. by e-mail at main@ikfkickboxing.com to keep their record up to date and more so, for Medical Safety Reasons - Injury, Stoppage, Etc. OR - THEY/YOU WILL Face Disciplinary Fines & Suspensions. FOR MORE IKF EVENTS AROUND THE WORLD CLICK HERE! MUST PASS THE "YOUTH HEADS-UP CONCUSSION TEST: CLICK HERE! CALIFORNIA FIGHTERS, TRAINERS, PROMOTERS & PARENTS OF JUNIOR FIGHTERS! RE: PRE EVENT FIGHT CARD POSTING ON IKF CA EVENT PAGE. If you submit an incorrect spelling of your name, date of birth, fight record or height to the IKF or your Event Promoter for an upcoming fight card, this can "NOT BE CORRECTED" at the event you are booked on! It is your responsibility to provide TRUTHFUL information about yourself out of respect for your opponent! YOUR BOUT WILL BE CANCELLED AT WEIGH-INS!!! ALSO, you will be subject to suspensions as well as expense reimbursements of your opponent and the event promoter. ALWAYS check your listing prior to your upcoming event on the IKF California Upcoming events page located below. SO YOUR PHYSICAL DOES NOT GET DENIED! MAKE SURE THE ENTIRE FORM IS FILLED OUT IN FULL! MAKE SURE YOUR PHYSICAL IS DONE BY AN MD OR DO ONLY! MAKE SURE THE BELOW SECTION (At The Bottom Of Page 2) IS FILLED OUT BY THE MD OR DO! MAKE SURE THERE IS A "STAMP" WITH THE DOCTORS SIGNATURE AND CLINIC CONTACT INFO!! April 19th, 2019 - At 12:00 PM TO 1:PM. WEIGH-INS END AT 1:00 SHARP! MANDATORY FIGHTER CHECK-IN: **5:45 PM. (**) FIGHTERS NOT CHECKED IN BY 5:55 PM WILL BE SUSPENDED! MANDATORY FIGHTER RULES MEETING: 6:00 PM. Door Opens At 6:00 PM. Fight Begins At 7:00 PM. There is no IKF Fee for a "CURRENTLY IKF CA LICENSED FIGHTER" to fight on an this Event. To see if you are current, CLICK HERE. FOR THIS FORM CLICK HERE. There is no IKF Fee for a "CURRENTLY IKF CA LICENSED TRAINER/CORNERMAN" to work on an this Event. $20 Per Year for CHIEF Trainers (ONLY 1 Per Fighter - Name listed with each fighters bio on fight card). Fighter & or Trainer must be able to prove their bouts (Youtube or Independent Web Results). IKF CALIFORNIA Event Referees: Pongsan Cheunniran & Vichai Supkitpol "Rex"
IKF CALIFORNIA Timekeeper: Nancy Cataño Rosales. IKF CALIFORNIA Locker Room Inspectors: Julio Arana Jr., Brandon Yamabe, Michelle Correa, Jonathon Correa & Chris Correa. Ambulance Service: Care Ambulance Services & Anaheim Fire and Rescue. 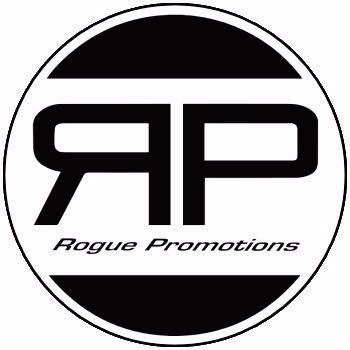 "FightersRep 6 - War Machines "
(***) February 23rd, 2019 - Monrovia, CA: Was not cleared after full & pre-fight physical due to elevated blood pressure. Fighter referred to follow up with primary provider. Must be cleared before participating in future events. IKF CALIFORNIA Timekeeper: *Nancy Cataño Rosales. For More Info Please Contact Julian Navarro III At (323) 999-8937. IKF CALIFORNIA Event Referees: *Dan Stell, *Vichai Supkitpol "Rex"
IKF CALIFORNIA Timekeeper: *Nancy Rosales. ALL Fighters on this event Must Attain a FULL IKF CA LICENSE ($40/Year) Which Can Be Done At Weigh-Ins. ALL Fighters on this event Must get a FULL FIGHTERS PHYSICAL (GOOD FOR 12 MONTHS) Prior To This Event If At All Possible, Or Pay $40 To The Event Doctor At Weigh-Ins. 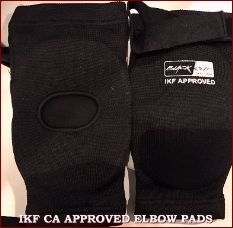 ALL CORNERMEN/SECONDS/TRAINERS Who Wish To Work A Fighters Corner For These Events Must Attain a FULL IKF CA LICENSE ($20 Per Year for CHIEF Trainers, $40 Per Year For All Assistants) Which Can Be Done At Weigh-Ins. Gabe Scarpelli's World Combat Series -March 16th, 2019 - Santa Clara, CA: CLICK HERE, Scroll to Bottom of Page. 4-11-19: Fernando Garcia has been fined $1,000 and Suspended 6 Months from ANY Full Contact Fighting NATIONWIDE for attempting this for a SECOND Time! IKF CALIFORNIA Judges: *Archie Womack, *Abe Belardo & Alternating Referees. IKF CALIFORNIA Ringside Physicians (MD): *Dr. Mitch Jelen MD. WHAT: Amateur Muay Thai - "Bad To The Bone"
IKF CALIFORNIA Event Representative: Steve Fossum or Elaine Jojola. IKF CALIFORNIA Admin Weigh-In Representative: Elaine Jojola or Dan Stell. IKF Kickboxing / Muay Thai Judges: Coordinated with CSAC Officials. IF NOT: You will be required to pay $40 to have a correct and complete form done at weigh-ins. IF NOT CHECKED: You will be required to pay $40 to have a correct and complete form done at weigh-ins. IF NOT A STAMP: You will be required to pay $40 to have a correct and complete form done at weigh-ins. IKF CALIFORNIA Event Representative: *Elaine Jojola. IKF CALIFORNIA Event Referees & Judges: *Jim VanOver & *Pongsan Cheunniran. 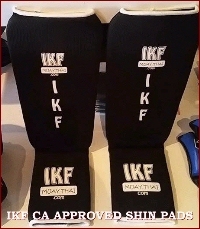 IKF CALIFORNIA Judges: *Kru Rex, *Cecil Peoples & Alternating Referees. IKF CALIFORNIA Locker Room Inspectors: *Jess Gasca, *Rath Ren & *Jeff Zolot. June 7th, 2019 - At 12:00 PM TO 1:PM. EVENT OFFICIALS AS OF MONDAY, November 5th, 2019, At 3:00 PM/PST. IKF KICKBOXING Locker Room Inspectors: Chris Fields & Nadine Salim. (**) FIGHTERS NOT CHECKED IN BY ----- PM WILL BE SUSPENDED! IKF CALIFORNIA Judges: TBA & Alternating Referees. IKF CALIFORNIA Locker Room Inspectors: *Chris Fields, *Gene Fields, *Victor Zaragoza, *Jesse Pineda & *Victor Zaragoza Jr.
IKF CALIFORNIA Judges: TBA, TBA & Alternating Referees. IKF CALIFORNIA Locker Room Inspectors: *Chris Fields, *Jesse Pineda, *Victor Zaragoza Jr., *Monica Anguiano & TBA. FIGHTERS NOT CHECKED IN BY ----- PM WILL BE SUSPENDED! WHAT: IKF Amateur Kickboxing & Muay Thai. IKF KICKBOXING Event Referee: *Jim VanOver. IKF KICKBOXING Judges: *Pongsan Cheunniran, *Luis Cobian & *Brandon Yamabe. IKF KICKBOXING Timekeeper: *Nancy Cataño. July 12th, 2019 - At 12:00 PM TO 1:PM. IKF CALIFORNIA Event Referees: *Jim VanOver & *Vichai Supkitpol "Rex"
IKF CALIFORNIA Locker Room Inspectors: *Jess Gasca, *Chris Fields, *Gene Fields & *Victor Zaragoza. $20 Per Year for CHIEF Trainers (ONLY 1 CHIEF Trainer Per Fighter - Name listed with each fighters bio on fight card). IKF CALIFORNIA Locker Room Inspectors: *Daniel Castillo, *Ronnie Buenafe & *Gemma Nendoza. FINAL FIGHT CARD DUE BY JULY 12th, 2019 - FINALIZED BY JULY 19th. No Fight Card Changes After 5:00 PM, July 19th, 2019. FOR INFO ABOUT THE 2019 IKF WORLD CLASSIC CLICK HERE! October 4th, 2019 - At 12:00 PM TO 1:PM. November 8th, 2019 - At 12:00 PM TO 1:PM.